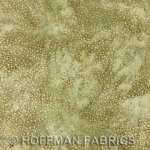 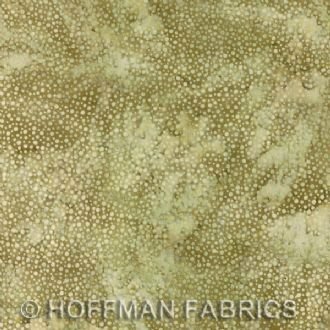 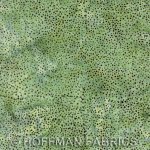 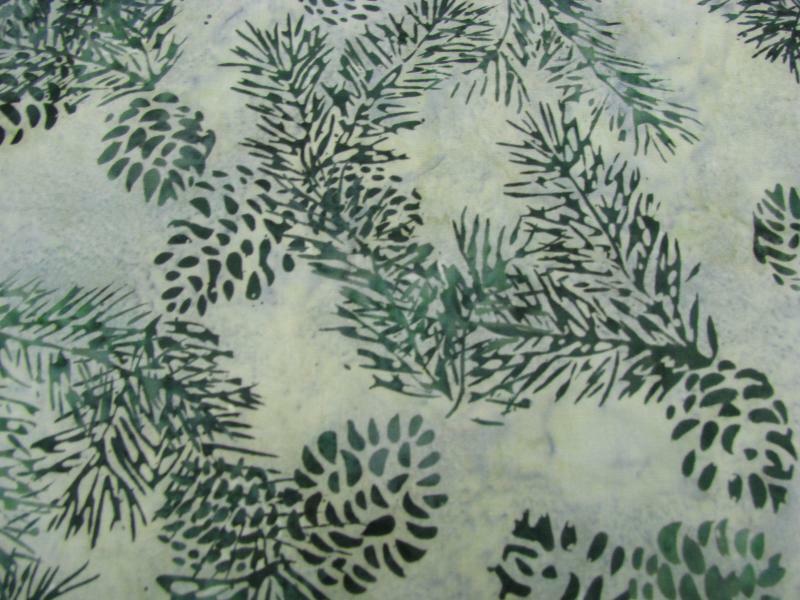 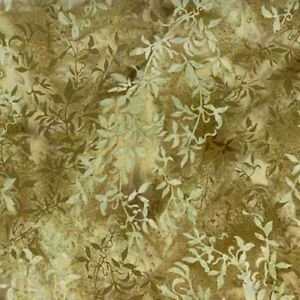 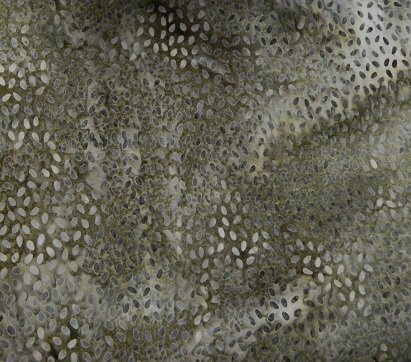 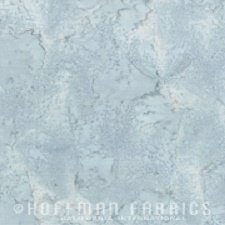 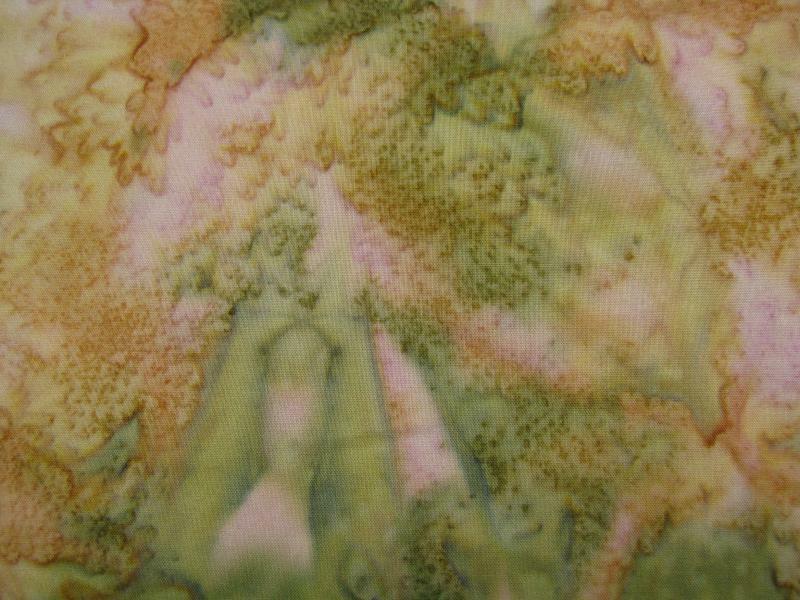 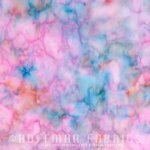 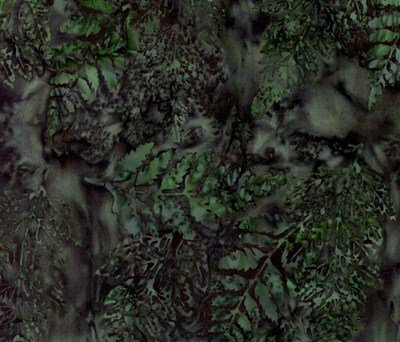 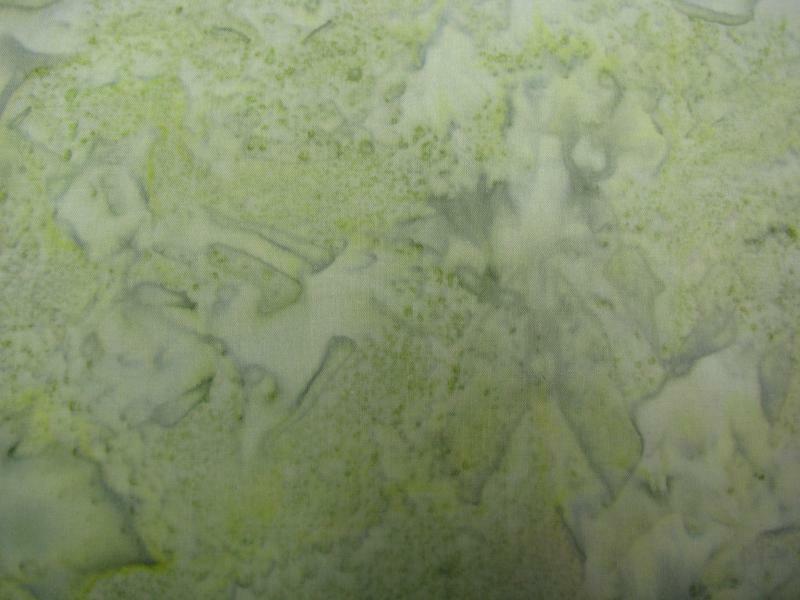 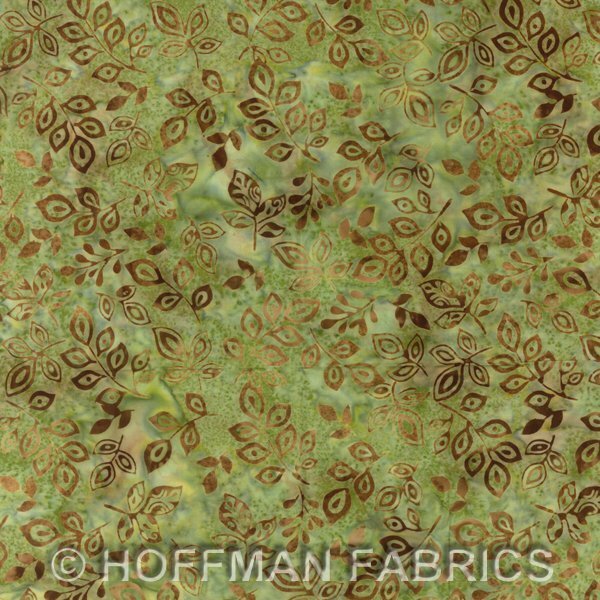 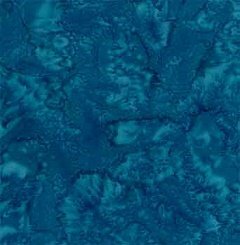 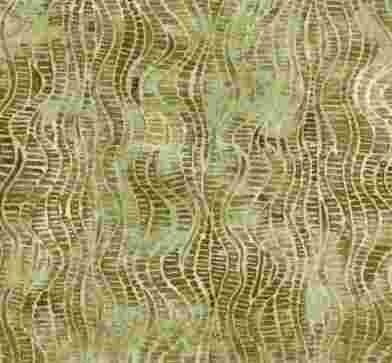 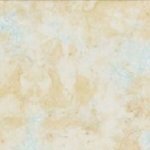 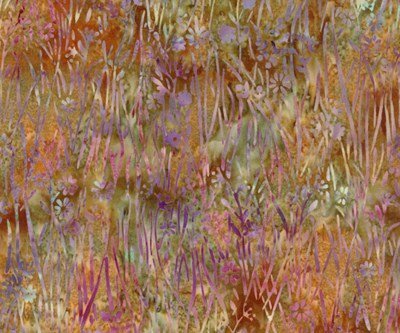 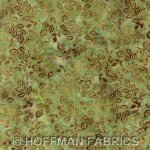 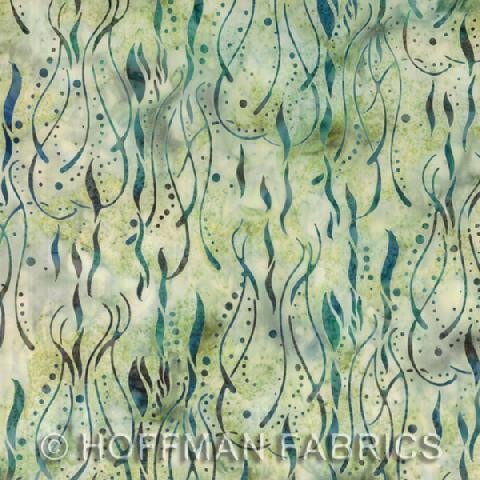 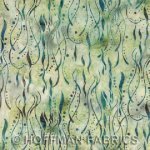 Hoffman Batik with a molted cream and shades of light green background with green, blue, reddish brown seaweed and bubbles. 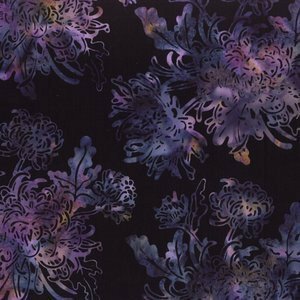 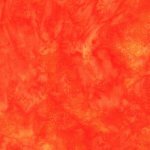 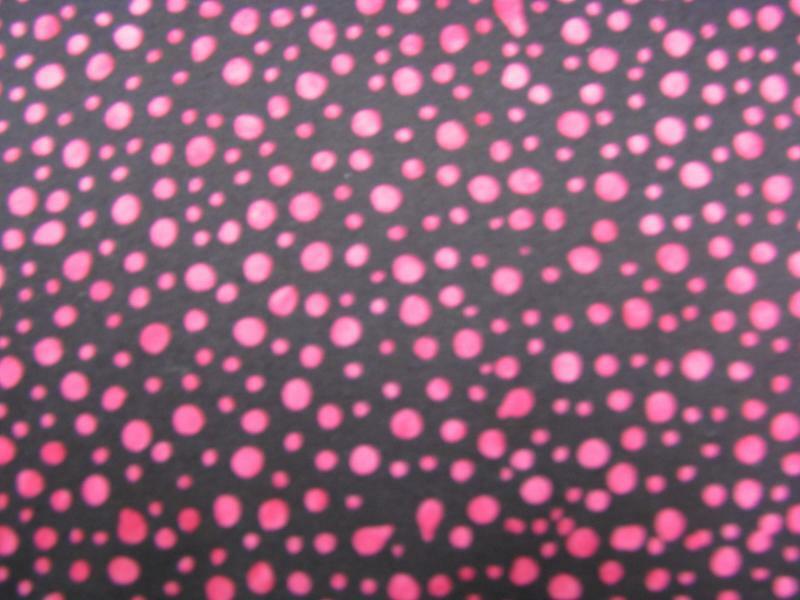 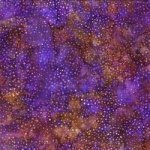 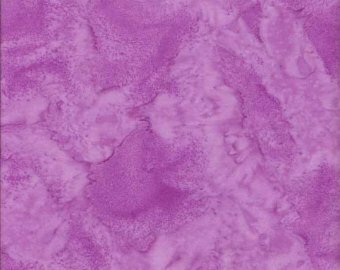 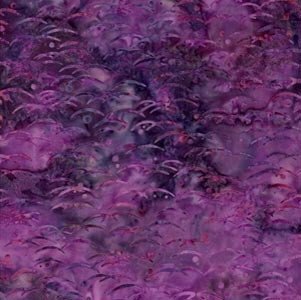 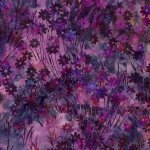 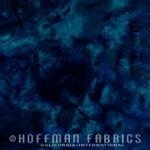 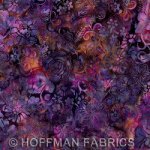 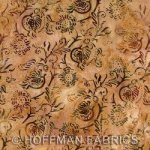 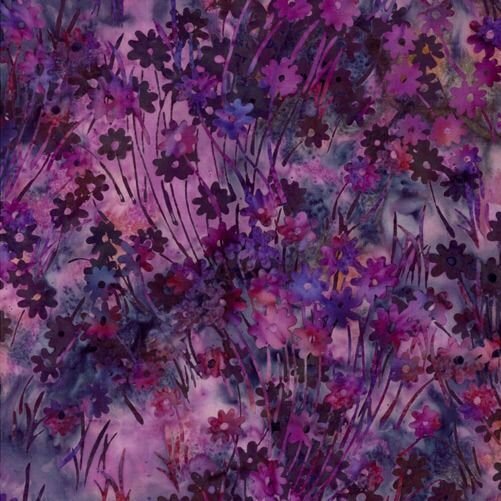 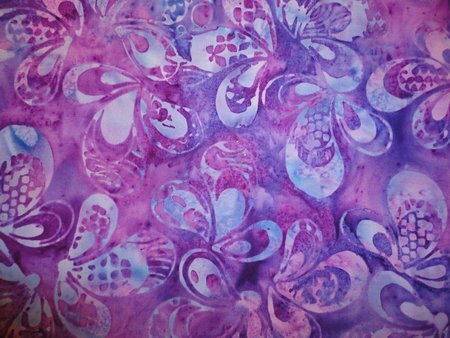 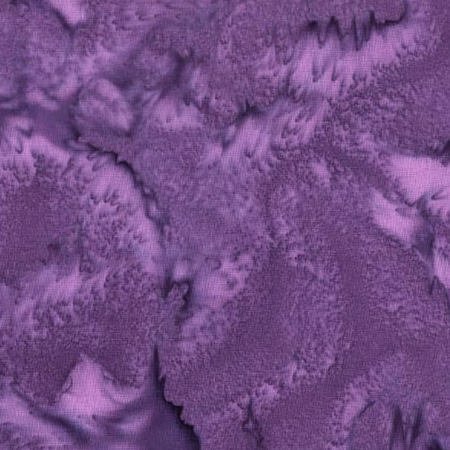 Hoffman batik molted deep pink/purple with blue & orange. 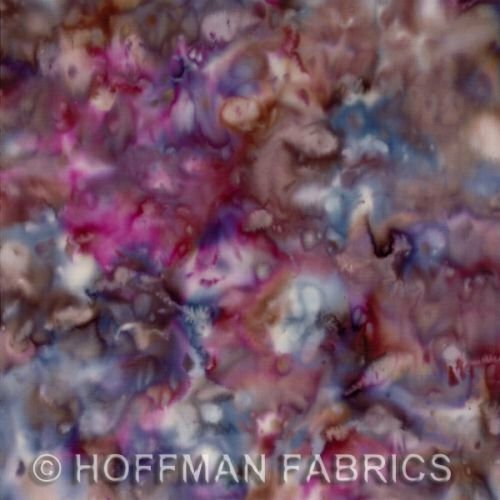 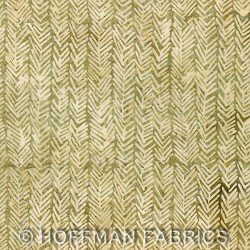 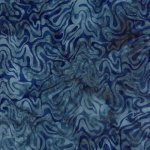 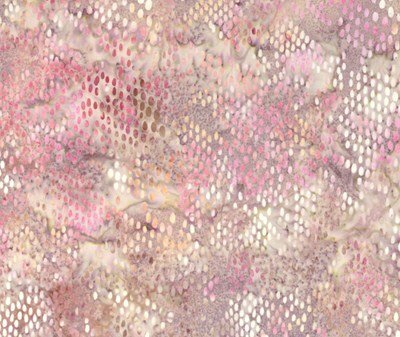 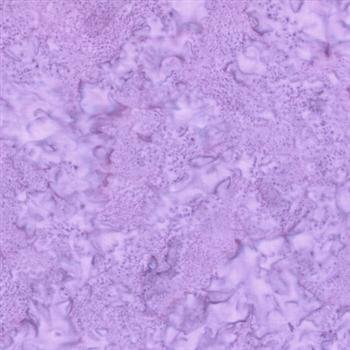 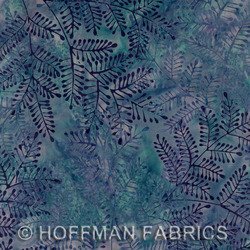 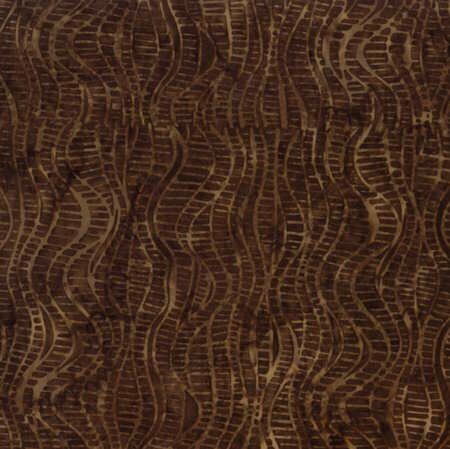 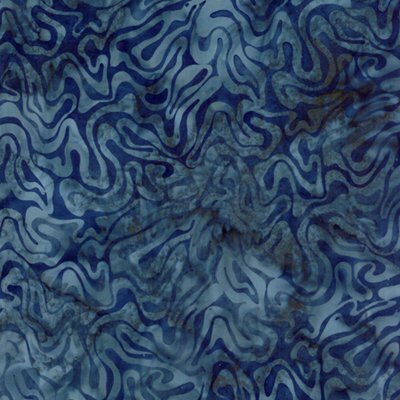 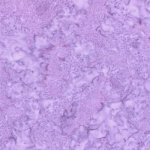 Hoffman Batik small scale mauvey, gray purple snake skin print. 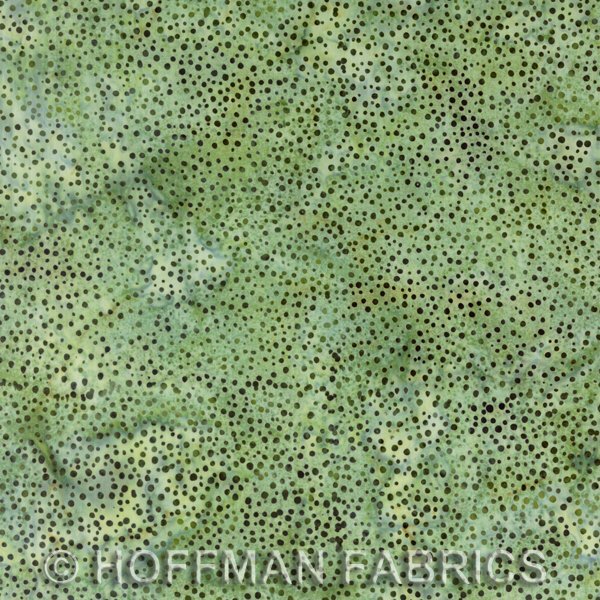 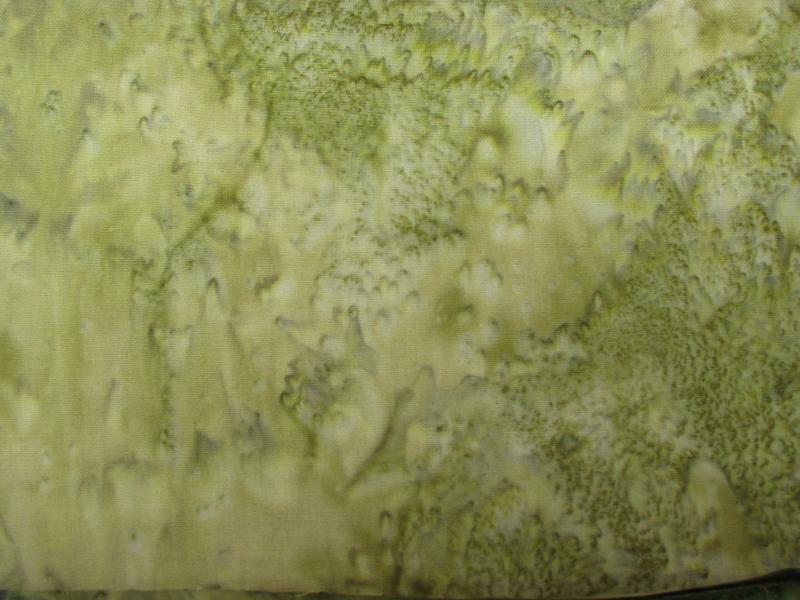 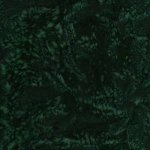 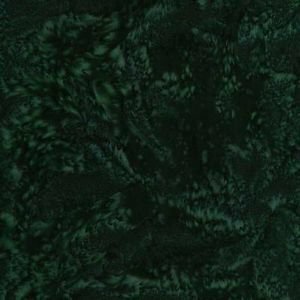 Hoffman Batik molted mossy greens with different shades of green seeds.